Paragliding is a real way to get in touch with the air. Paragliding is in some ways a very simple form of flying while at the same time being one of the most complex. A simple wing you can carry in a rucksack and launch on foot from a hillside. Then again, that same simplicity and light weight means that you have to develop a deep understanding of the principles of flight and the weather. As the wing is a very flexible and light it is very susceptible to winds and air currents. Those same forces that allow you to fly can make your life very difficult indeed. As it has no rigid components, turbulent air can actually cause it to deform or even collapse. Good tuition will of course show you how to recognize, avoid and deal with difficult conditions so that you can fly safely. That vulnerability is what makes it essential to know what you are doing. I recently watched a very experienced pilot with a high performance wing make a very slick approach. He then turned on to final approach and the breeze and updraughts seemed to make the final elegant touchdown quite eventful. He sorted it out of course with a few turns and some thought but it goes to show how tricky flying can be. As your experience grows your confidence will increase, especially if you take the time to keep learning. Whether you buddy up with a more experienced pilot, surf the web for instructional videos, read books or use trial and error you will probably never stop learning. There is no doubt though that paragliding is about as close as you can get to flying like a bird. No machinery, nothing between you and the air except your clothes, almost silent, pure flying. 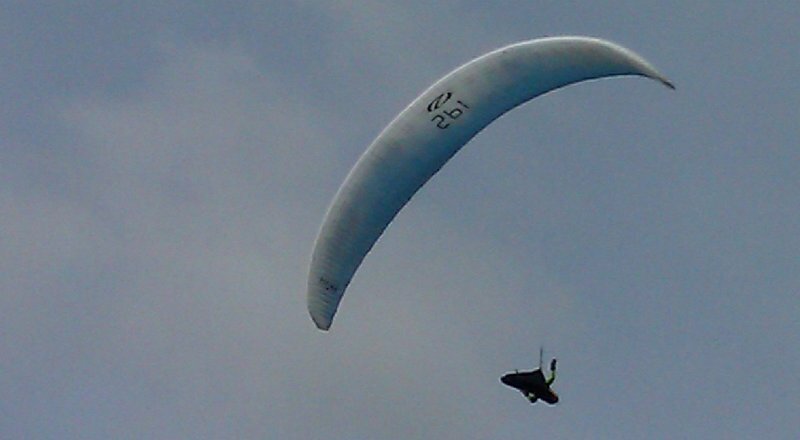 There is always the similar cousin, hangliding which uses a rigid wing in a flatter face down position rather than the seat harness of a paraglider. There is some debate about which is better and it really boils down to personal preferences. 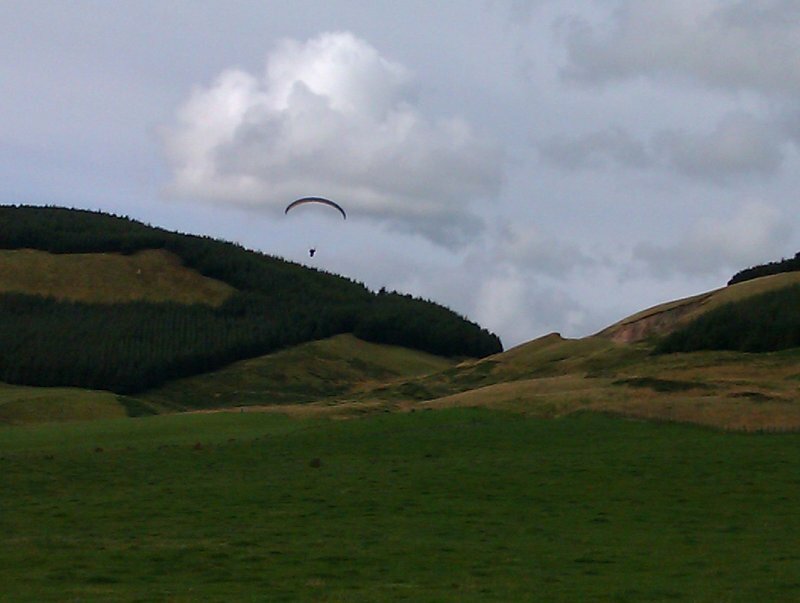 It certainly seems though that paragliders have almost completely taken over in Scotland at least. There are many sites around the web on the subject but the first thing you will notice is how technical the chat and the articles are. There is no question that paraglider pilots have a very thorough knowledge and understanding of airflow, weather and aerodynamics of their wings, much more so than most fixed wing pilots. As with most airsports the pilots are generally very happy to talk about their sport and give advice to anyone who asks. If you learn abroad, come to Scotland as an experienced pilot or just visit a new site, there will probably be a few like minded folk around on a flyable day who will be ready with a helping hand if you need it. There are several clubs in Scotland to check out, why not make a point of finding the one nearest to you? Find out more about the Lanarkshire and Lothian Soaring Club and the Scottish distance record fligh of 154km.